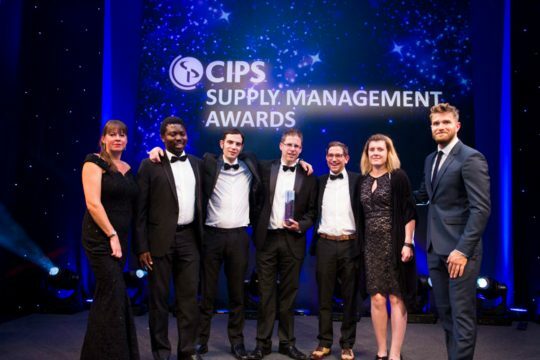 The Salisbury District Hospital Procurement Department has won a prestigious CIPS Supply Management Award. This recognises the work of the Department in pioneering the use of GS1 and PEPPOL standards, which has already delivered hundreds of thousands of pounds of efficiency savings and improved patient safety. The awards are highly sought after within the procurement and supply chain community and reflect the work of the team in providing an innovative and effective NHS service. The Department, which is responsible for managing all supplies to the hospital, from high volume gloves and bandages, to high cost implants has achieved the award in the Most Improved Procurement Operation – Step Change category. This recognises the work of the department in pioneering the use of GS1 and PEPPOL standards, which has already delivered hundreds of thousands of pounds of efficiency savings and improved patient safety.